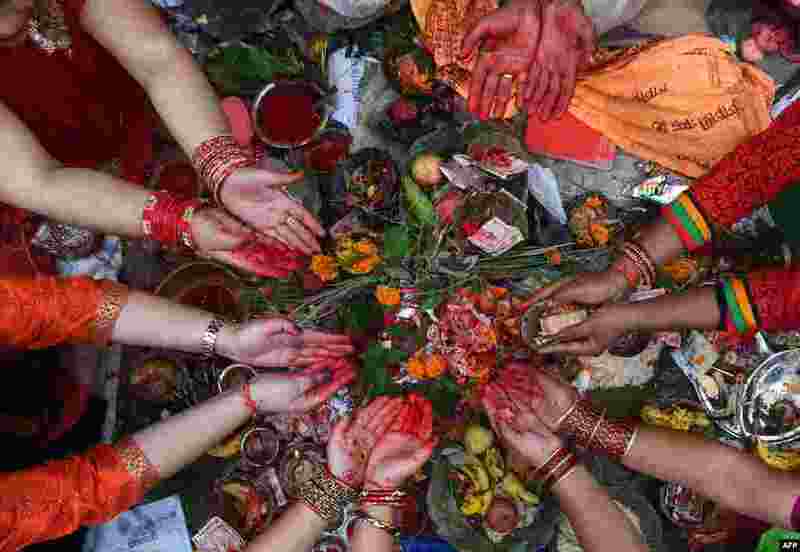 1 Nepali Hindu women recite prayers led by a priest as they sit on the banks of the Bagmati River during the Rishi Panchami festival in Kathmandu. 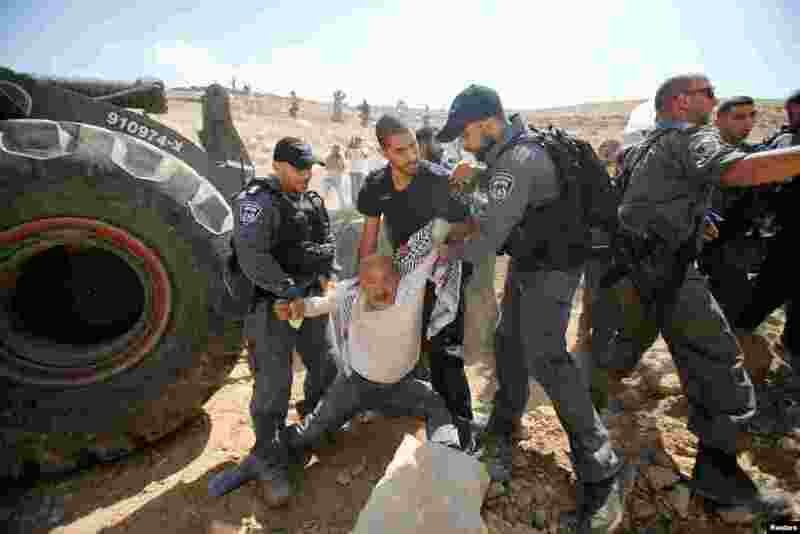 2 Israeli policemen detain a Palestinian protesting Israel's plan to demolish the Palestinian Bedouin village of Khan al-Ahmar, in the occupied West Bank. 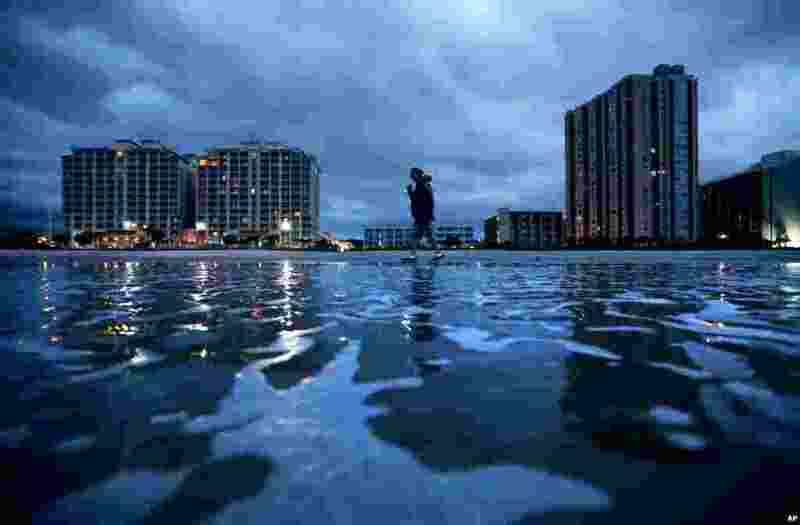 3 Russ Lewis looks for shells along the beach as Hurricane Florence approaches Myrtle Beach, S.C. "We might get lucky, we might not. We'll find out," said Lewis of the storm. 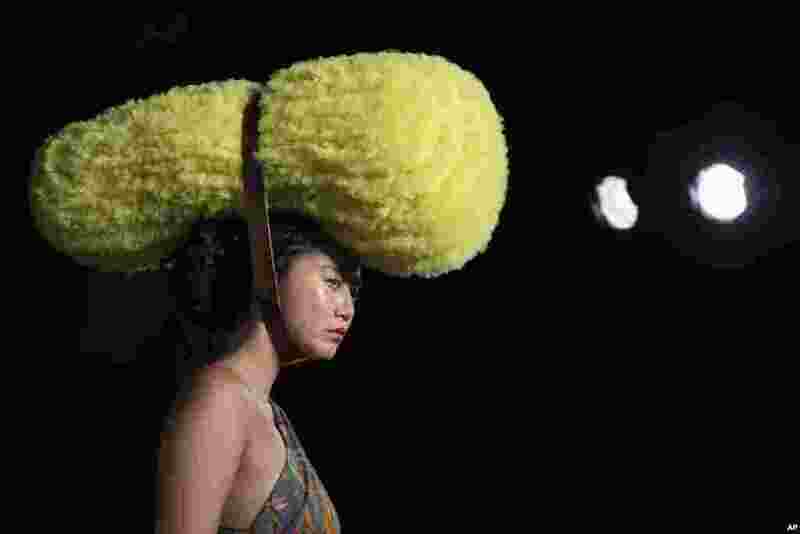 4 A model wears a creation by designer Pam Hogg during her Spring/Summer 2019 runway show at London Fashion Week in London.